Olio, 301 E Bay St, Jacksonville, FL. I love finding a hot lunch spot and when the food lives up to the hype, I’m mad happy! Olio, in downtown Jacksonville is thee place. Their spring menu just came out and what a delish delight! They enjoy using organic and local ingredients, you know that adds to freshness and uber flavor. Plus, they cure and smoke their own meats and make their own pickles. Love it! The Duck Grilled Cheese, had me at hello. Look. Duck confit, green tomato, gruyere, and american cheese all on a sourdough bread. Grilled up and oozing fabulosity…a masterpiece. I also tried the Pork Belly sandwich. Crispy pork belly, fried egg, arugula, bernaise aioli on a ciabatta bun. It was verrry good, but I would have it for breakfast. 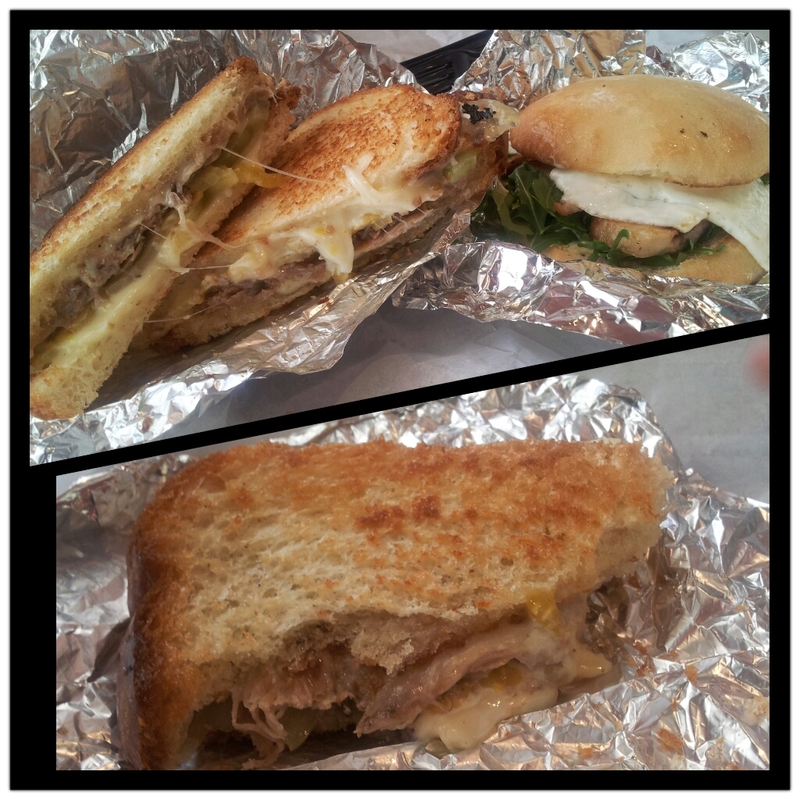 The Duck Grilled Cheese taste was just too freaking fantastic, it was the stellar standout. I look forward to going back and trying more of their tantalizing menu of beautiful soups, bountiful salads, and bodacious sandwiches. Tip: Large dining area, easy to find location, street meter parking (bring quarters..25 cents for every 30 minutes), and food worth the quick jaunt off of I-95, open 8:00 a.m. to 3:00 p.m. Monday – Friday. 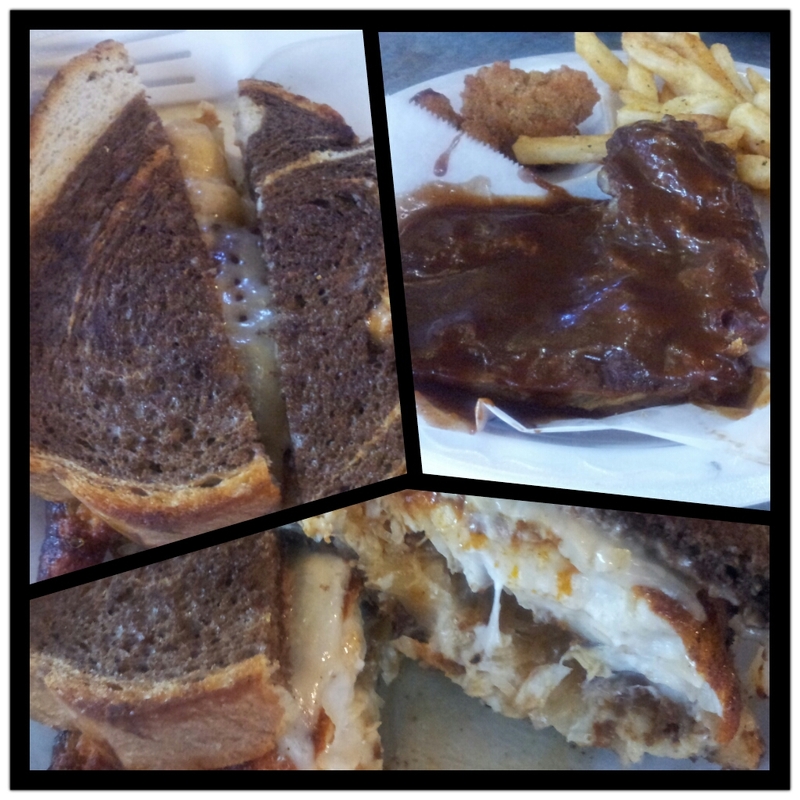 As seen on on The Travel Channel, Adam Richman’s Best Sandwich series. It made it to the Finale, the best of the best sandwiches in America. Yeah, pretty flippin’ good. 5 out of 5 monster flava best sandwich points!